On January 3, 2004, NASA's Spirit rover landed on Mars! Also known as Mars Exploration Rover 2, this was the first of NASA's twin rovers to land on the Red Planet. The other was named Opportunity. These rovers were designed to last just 90 days on Mars, but Spirit lasted more than six years! It touched down at the Gusev crater, where scientists believed to be an old lake bed that was once filled with water. NASA named the landing site Columbia Memorial Station to honor the astronauts who were killed in the Columbia disaster less than a year earlier. This illustration depicts how each of the twin Mars rovers Spirit and Opportunity landed on Mars in January, 2004, cushioned inside airbags that bounced several times before coming to rest. The rover and a three-petal landing platform were folded up inside the set of inflated bags for each landing. http://RoyDawsonHomes.com NASA has ended operational planning activities for the Mars rover Spirit and transitioned the Mars Exploration Rover Project to a single-rover operation focused on Spirit's still-active twin, Opportunity. This marks the completion of one of the most successful missions of interplanetary exploration ever launched. Spirit last communicated on March 22, 2010, as Martian winter approached and the rover's solar-energy supply declined. The rover operated for more than six years after landing in January 2004 for what was planned as a three-month mission. NASA checked frequently in recent months for possible reawakening of Spirit as solar energy available to the rover increased during Martian spring. A series of additional re-contact attempts ended today, designed for various possible combinations of recoverable conditions. "Our job was to wear these rovers out exploring, to leave no unutilized capability on the surface of Mars, and for Spirit, we have done that," said Mars Exploration Rover Project Manager John Callas of NASA's Jet Propulsion Laboratory, Pasadena, Calif. Spirit drove 4.8 miles (7.73 kilometers), more than 12 times the goal set for the mission. The drives crossed a plain to reach a distant range of hills that appeared as mere bumps on the horizon from the landing site; climbed slopes up to 30 degrees as Spirit became the first robot to summit a hill on another planet; and covered more than half a mile (nearly a kilometer) after Spirit's right-front wheel became immobile in 2006. The rover returned more than 124,000 images. It ground the surfaces off 15 rock targets and scoured 92 targets with a brush to prepare the targets for inspection with spectrometers and a microscopic imager. "What's really important is not only how long Spirit worked or how far Spirit drove, but also how much exploration and scientific discovery Spirit accomplished," Callas said. One major finding came, ironically, from dragging the inoperable right-front wheel as the rover was driving backwards in 2007. That wheel plowed up bright white soil. Spirit's Alpha Particle X-ray Spectrometer and Miniature Thermal Emission Spectrometer revealed that the bright material was nearly pure silica. "Spirit's unexpected discovery of concentrated silica deposits was one of the most important findings by either rover," said Steve Squyres of Cornell University, Ithaca, N.Y., principal investigator for Spirit and Opportunity. "It showed that there were once hot springs or steam vents at the Spirit site, which could have provided favorable conditions for microbial life." The silica-rich soil neighbors a low plateau called Home Plate, which was Spirit's main destination after the historic climb up Husband Hill. "What Spirit showed us at Home Plate was that early Mars could be a violent place, with water and hot rock interacting to make what must have been spectacular volcanic explosions. It was a dramatically different world than the cold, dry Mars of today," said Squyres. The trove of data from Spirit could still yield future science revelations. Years of analysis of some 2005 observations by the rover's Alpha Particle X-ray Spectrometer, Miniature Thermal Emission Spectrometer and Moessbauer Spectrometer produced a report last year that an outcrop on Husband Hill bears a high concentration of carbonate. This is evidence of a wet, non-acidic ancient environment that may have been favorable for microbial life. "What's most remarkable to me about Spirit's mission is just how extensive her accomplishments became," said Squyres. "What we initially conceived as a fairly simple geologic experiment on Mars ultimately turned into humanity's first real overland expedition across another planet. Spirit explored just as we would have, seeing a distant hill, climbing it, and showing us the vista from the summit. And she did it in a way that allowed everyone on Earth to be part of the adventure." JPL, a division of the California Institute of Technology in Pasadena, manages the Mars Exploration Rovers Opportunity and Spirit for the NASA Science Mission Directorate, Washington. For more about the rovers, see: http://www.nasa.gov/rovers and http://marsrovers.jpl.nasa.gov. In January of 2004, twin robotic explorers named Spirit and Opportunity landed on Mars. Expected to last for 90 days, their mission has now gone on for more than eight years. Its objective is to search for evidence of past water on Mars, and to determine if Mars ever had conditions that would have been suitable for life. To develop Spirit and Opportunity, a team of more than 4,000 highly motivated engineers and scientists overcame a host of technical challenges. These challenges were multiplied by an extraordinarily tight schedule that was driven by the motions of the planets. This talk will provide an up-to-date summary of the missions of Spirit and Opportunity, from their initial conception through their development, launch, landing, and operations on the surface of Mars. Steve W. Squyres is the Goldwin Smith Professor of Astronomy at Cornell University in Ithaca, New York. His research area is in planetary sciences, with a focus on large solid bodies in the solar system such as the terrestrial planets and the moons of the Jovian planets. Squyres is principal investigator of the Mars Exploration Rover Mission (MER). 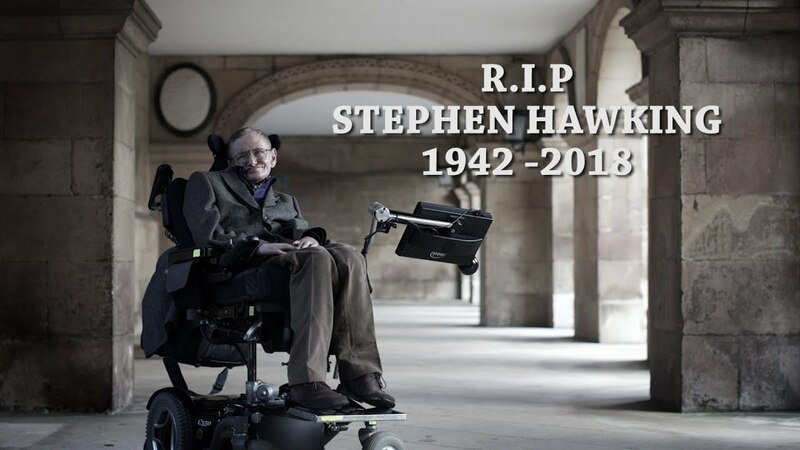 He is the recipient of the 2004 Carl Sagan Memorial Award and the 2009 Carl Sagan Medal for Excellence in Communication in Planetary Science. On October 28, 2010, Dr. Squyres received the 2010 Mines Medal for his achievements as a researcher and professor. Squyres has participated in a number of planetary spaceflight missions. From 1978 to 1981 he was an associate of the Voyager imaging science team, participating in analysis of imaging data from the encounters with Jupiter and Saturn. He was a radar investigator on the Magellan mission to Venus, a member of the Mars Observer gamma-ray spectrometer flight investigation team, and a co-investigator on the Russian Mars '96 mission. He is a member of the imaging science team on the Cassini mission to Saturn and was a member of the gamma- ray X-ray spectrometer team on NASA's Near Earth Asteroid Rendezvous mission. Dr. Squyres' research focuses on the robotic exploration of planetary surfaces, the history of water on Mars, geophysics and tectonics of icy satellites, tectonics of Venus, planetary gamma- ray and x-ray spectroscopy. Research for which he is best known includes study of the history and distribution of water on Mars and of the possible existence and habitability of a liquid water ocean on Europa. He received his B.A. in Geological Sciences and his Ph.D. in Astronomy (Planetary Studies) from Cornell University. The IMAX documentary film Roving Mars was based on Squyres' book Roving Mars : Spirit, Opportunity, and the Exploration of the Red Planet. Complete video at: http://fora.tv/2012/02/27/William_J_Clancey_Voyages_of_Scientific_Discovery William J. Clancey, Chief Scientist of Human-Centered Computing at the Intelligent Systems Division of the NASA Ames Center, talks about the Mars Exploration Rover (MER) program. Adjusting to Mars' atmosphere, Clancey shares that the two teams controlling separate rovers even adopted Mars' time schedule. ---- For more than eight years, scientists have been doing fieldwork on Mars, the first overland investigation of another planet. Working through programmed robotic laboratories, called the Mars Exploration Rovers, they have a virtual experience of being on Mars. The Spirit and Opportunity teams have driven over 25 miles, taken thousands of photographs, analyzed the chemistry of the terrain, and inspected rocks by grinding them and taking microscopic images. How does working remotely through a robotic laboratory change the nature of field science? How does it change the scientists? A cognitive scientist with privileged access to mission operations, Clancey explains that the "robotic geologists" are not the rovers, but the scientists who have imaginatively projected themselves into the body of the machine. Dr. William J. Clancey is Chief Scientist for Human-Centered Computing at NASA Ames Research Center, Computational Sciences Division, where he manages the Work Systems Design & Evaluation Group. He is on leave from the Institute for Human and Machine Cognition, Pensacola. This video is composed of 3,418 frames taken by Spirit's front-right hazcam played back at 6 frames per second. The images are either 1024 x1024, 512 x 512, or 256 x 256 pixels. This time-lapse covers 4.8 miles of driving over the course of 5 years, 3 months, 27 days. Scenes from around NASA on the day Spirit landed on Mars. Spirit, mission designation MER-A (Mars Exploration Rover - A), is the first of the two rovers of NASA's ongoing Mars Exploration Rover Mission. It landed successfully on Mars at 04:35 Ground UTC on January 4, 2004, three weeks before its twin, Opportunity (MER-B), landed on the other side of the planet. Its name was chosen through a NASA-sponsored student essay competition. The rover completed its planned 90-sol mission. Aided by cleaning events that resulted in higher power from its solar panels, Spirit went on to function effectively over twenty times longer than NASA planners expected following mission completion. Spirit also logged about 10 kilometers of driving instead of the planned 1 km, allowing more extensive geological analysis of Martian rocks and planetary surface features. Initial scientific results from the first phase of the mission (the 90-sol prime mission) were published in a special issue of the journal Science.